The incident occurred Saturday evening at Noapara locality in Sadar block of the district when she was going to visit an ailing relative on a two wheeler. 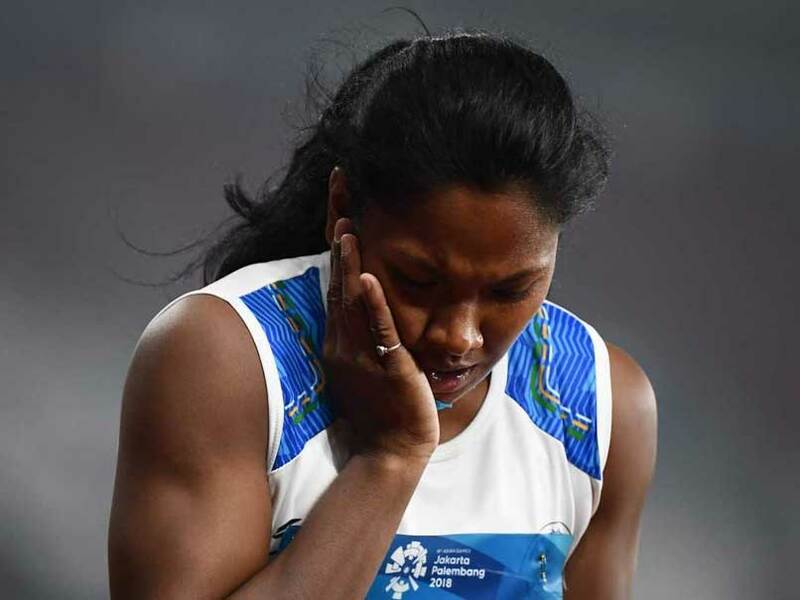 Two men on a motorbike snatched a chain from the neck of Asian Games gold medallist heptathlete Swapna Barman's mother who was pillion riding a two-wheeler in Jalpaiguri district, police said Sunday. The gold chain was gifted to her mother Basana Barman by Swapna Barman around seven months ago. The incident occurred Saturday evening at Noapara locality in Sadar block of the district when she was going to visit an ailing relative, police said. Two men came in a motorbike from behind and one of them snatched the chain when her two-wheeler was slowing down at the side of the road. After Basana Barman lodged a complaint, Jalpaiguri Superintendent of Police Amitabha Maiti visited her house. No one was arrested yet, police said. Mr Barman is the first Indian heptathlete to win gold at the Asian Games when she secured the top position in Jakarta last month.